The study program is equivalent to more than five years of post-secondary education. The total study time is close to 3500 hours, plus almost 2,000 hours of clinical work for a total of 5,500 hours of training. Joan’s interest in natural medicine began in the 70’s when she explored herbology as an alternative for treating various conditions. From there she made a quick leap to homeopathy after experiencing personal healing while being treated for the effects of an injury. With an undergrad degree in Psychology and Teacher Education, and a Masters of Science in Health, she was compelled to pursue further education in homeopathy. After a few serendipitous occurents she was introduced to Heilkunst – Samuel Hahnemann’s complete system of medicine, which includes homeopathy. Always a seeker of Truth, she decided to participate in Heilkunst as a patient first and experienced cure of a long standing ailment. Her cat, Nellie, also underwent treatment and showed a remarkable improvement in health and temperament. Thus Joan began the three-year program of advanced studies at the Hahnemann College for Heilkunst in Ottawa. After successfully completing the DHHP program, she continued with the DAHH program in order to be able to treat animals too. Joan’s Heilkunst practice and office is centrally located in Toronto in The Annex Center. To set up an appointment with her please call or email Joan. Heilkunst proved to be a culmination of all that had come before. Following conventional training as a nurse I went on to complete my degree with the intentions of teaching nursing. After the birth of our youngest of four children, the direction of my life changed forever. She was born with a subdural hematoma (bruise beneath the dura matter of the brain) as a direct cause of her birth being artificially induced. She had seizures from the day she was born. Too add to this damage, she was given drugs that are now forbidden for children under the age of two. Immunizations added further injury and years of illness and convulsions followed. Glimpses of recovery came with alternative therapies. They did not cure the underlying problem but did buy precious time off of the drugs that were robbing our daughter of her life. When threats were made by our pediatrician as to our future if we continued with alternative medicine and therapies, I turned my back on allopathic medicine. Following years of Gerson Therapy, Osteopathy, Reflexology, Acupuncture, Chiropractic and Herbology, I discovered Homeopathy. Initially, I found Classical / Kentian Homeopathy and was interested enough to begin studying. The initial positive results with our daughter ended within six months and I once again began searching. Instinctively, I sensed homeopathy was not at fault, but instead it was how it was applied. My search ended when I found Heilkunst. This System of Medicine is all inclusive and the Homeopathic Medicines are given in the right potency at the right time, according to each individual’s specific timeline. This System of Medicine resulted in a steady increase of health as the drugs and traumas were removed one by one freeing my daughters life force. After completing my DHHP, it seemed a natural progression to continue studying the DAHH program. Having had our own dogs treated, I witnessed first hand the difference in their health following Heilkunst treatment. Although there are similarities between the treatment of humans and animals, I wanted a thorough grounding in the principles as they specifically relate to application for animals. This in-depth study included an internship providing sixty hours of clinical experience which I found to be amazing. Heilkunst proved to be a culmination of all that had come before. I continue to be more inspired and in awe with each passing day. I am grateful to have been afforded the opportunity to study this amazing System of Medicine that I now share with others. After suffering a string of emotional traumas from 1994-96, Lauri’s health deteriorated. Later, chronic and complex symptoms forced her to leave a career as an optician. She studied nutrition for two years, then worked part-time at a health food store. Though she ate an organic, whole food diet and took a few quality supplements, chronic symptoms did not improve. Then a coworker handed her a brochure on Heilkunst, a German word which means ‘the art of helping one to become whole’. Heilkunst includes sequential treatment of a person’s traumatic (life) timeline with natural remedies to remove the effects of emotional, mental, and physical trauma. This information deeply resonated with Lauri. She immediately booked an initial consultation and has never looked back. 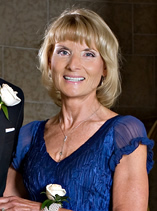 She decided to study with the Hahnemann College for Heilkunst in Ottawa and now has a diploma in homeopathy and Heilkunst, and is a Doctor of Medical Heilkunst. She also has a diploma in Animal Heilkunst. Lauri dreamed of helping people to heal since the age of five. After raising three wonderful children, it is now her passion to help others achieve health and wholeness at all levels – body, mind, soul and spirit. From raising rabbits and lambs in Idaho for 4-H projects, to adopting family pets when my kids were growing up in Alberta, my love for the animal kingdom goes way back. So it’s no surprise that I was drawn to study Animal Heilkunst & Homeopathy. 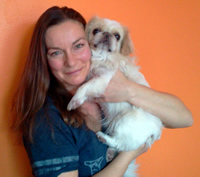 I welcome animals of all ages and breeds to my practice in Edmonton. It is not necessary to meet the animal, only to talk to the owner about their pet’s symptoms, behavior, and history. But a photograph is always nice to see! I began my studies with Hahnemann College for Heilkunst when my mother was diagnosed with pancreatic cancer, I witnessed the devastating effects of chemotherapy first hand and knew there had to be a better, more effective way to work with cancer. In doing research on alternative cancer care, I came across Heilkunst and shortly thereafter, my mother was working with a Heilkunstler. When it was clear that the chemotherapy was going to cause my mother’s death, she abandoned all conventional therapies and continued to work with her practitioner. This happened in 2007, and today she is cancer free. I pursued training in Heilkunst to work with and help people and their pets live their best lives. ANIMAL HEILKUNST There is an increasing need for alternative medicine in the veterinary world as well. I have been working with animals for many years and have seen a devastating decline in the overall health of many species as well as an incline in diseases an animal should never be stricken with. I am passionate about working with and empowering all people with the information necessary to improve the health and longevity of themselves and their beloved companions. I conduct in person and over the phone consultations and I am happy to make house/farm calls on the Big Island of Hawai’i. Aleksandra was born and raised in the former Yugoslavia. She left her country following her graduation from The University of Architecture in Belgrade. Facing health challenges along with the harshness and limitations of conventional medicine, she was forced to look for a path of no harm. At first she turned to Reiki and Craniosacral therapy, and she still offers those treatments to patients within the broader perspective of Heilkunst. But Heilkunst was the ultimate answer, clearly defined through principles and natural laws. 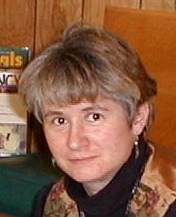 Aleksandra is a graduate of Hahnemann College for Heilkunst and is a member of the International Heilkunst Association. Her practice welcomes all species, either in person or through phone consultations. Do you want to feel pain free, joyful, true happiness and excitement about your future? I did and my journey started here with Heilkunst. I am a graduate of the Hahnemann College for Heilkunst and a member of the Canadian International Heilkunst Association. I would love to guide you through the Heilkunst journey and help you find your divine purpose and be rid of emotional and physical dis-ease. Contact me and lets get started today. I work with humans and animals and can do consults in person or over the phone. Don’t wait, You won’t believe how good you can feel! 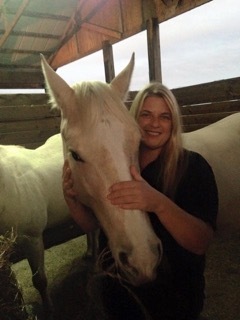 Natural animal care is Leslie’s passion. Even before she became involved in animal rescue for dogs and cats, and prior to establishing her country homestead with goats, rabbits, and ducks, Leslie had begun the journey toward finding more gentle, yet effective management and healing methods for her own animals. These included homeopathy, acupuncture, herbs, nutrition and supplements. She discovered that the vast array of options, while usually helpful, were not organized around any rational guiding principles, and it had become a matter of trial & sometimes error before significant improvements were made. In Heilkunst Leslie discovered a principled method for understanding health, disease, healing and curing for our animal companions. 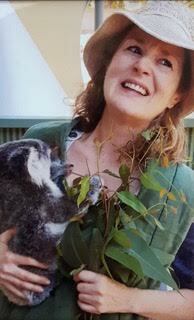 In addition to completing her DAHH (Diploma in Animal Heilkunst & Homeopathy), Leslie has a BA in Biology/ Education and MSW (Master of Social Work). She maintains a private holistic psychotherapy practice in the Northern Shenandoah Valley. Her general practice encompasses resilience based care for adults & families, and she has a special interest in assisting human-animal working partners such as those involved in search & rescue or animal assisted therapy. Leslie is concurrently working toward completing EMDR Certification and becoming a Certified Bach Flower practitioner to further her education. Leslie, her loving and patient husband Philip, and their evolving menagerie of dogs, cats, goats, birds, fish and frogs live in the hills of West Virginia, far enough into the peaceful countryside to enjoy nature’s beauty, yet close enough to Washington DC to partake of the abundance of cultural offerings when life becomes too quiet. Companion and working animal consultations are usually by phone. Home/barn/farm visits can be accommodated in the Mid-Atlantic area. Certified working/therapy animals can be seen in the Martinsburg, WV office.